What's more festive than a robin? How about two robins? We thought so too, so we popped them onto this cashmere-blend dress. 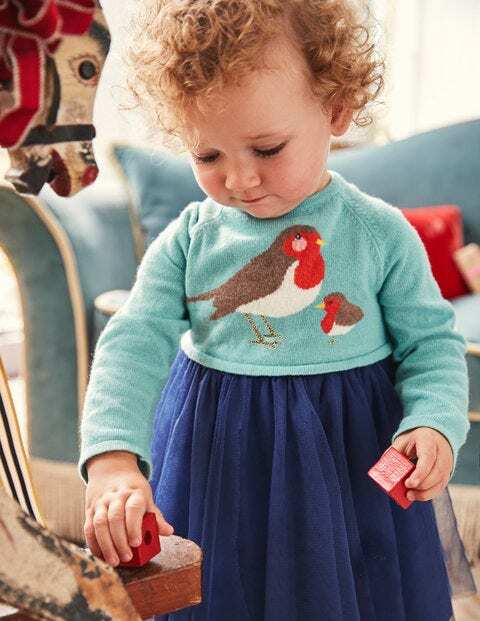 It has a fully lined tulle skirt and a cosy knitted top with glittery gold detailing. And we didn't forget the practicalities either: functional buttons at the back make changes easy, and it's machine washable. Phew.